News of the last hour that will make Lovers of Lineage II Revolution happy. Very soon the game will be made available in its international version and it will be playable by everyone without special tricks (see the article Lineage II Revolution – MMORPG for Android and IOS – Play Now ) and especially in a more understandable language. For those who are reading, and instead do not know what is Lineage II Revolution, know that there is already in Koreano the new version of Lineage II created specifically for mobile devices. To reward those who are eagerly awaiting the release of the game, on the official site of the game, Netmarble opens up the pre-registration to Lineage II Revolution and delivers award-winning prizes to first members. 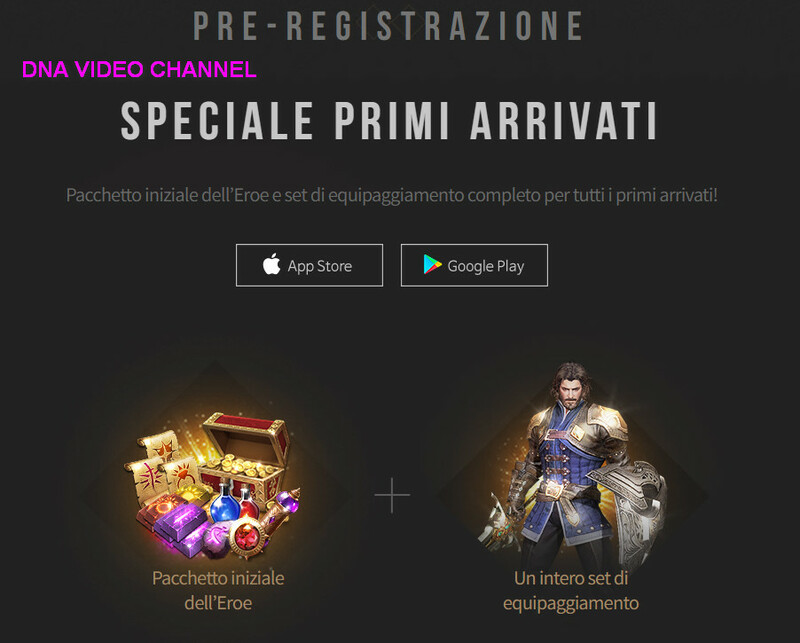 In fact, subscribers by pre-registration, Netmarble offers a starter package and a complete set of equipment. In addition to these, other awards will be given to the subscribers on the basis of the device with which they are registered. Playstore users will receive 200 red diamonds as soon as they reach the ten level in the game. The IOS users will instead, a not yet known award, who will receive as soon as the syncing will be done with the user. Perhaps for many less important, but for some rather serious and it is the choice of his nickname in the game. 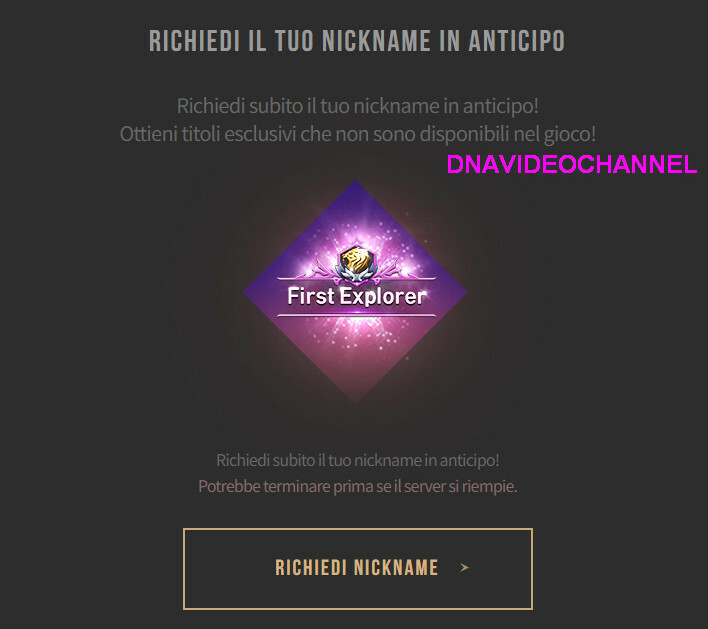 Also in early subscribers, and as long as there are vacancies in the different server, you can reserve your own nickname as of now. Why miss this opportunity, so you will be sure that no one else can steal your beloved name in play. I look forward to the release of this game for a long time. I tried the game on servers Koreans, using the method that I have given you in the article I mentioned earlier there. But to be honest, albeit playful, I prefer to play Lineage II Revolution, at least in English. It is likely that there will be other locations, but I will not be sure of this, we will see. However, for this reason, I have already pre-registered and now all that remains is to wait for their email alerting me official release (or in your case, just that you follow my blog and I will warn you). Considering that they are ending the free posts for registering your nickname and registering with them, you will get a lot of prizes, what are you waiting for? Also let your comments, and if the article is served, share it with your friends and subscribe to my pages and to my YouTube channel, you will be up to date on my latest articles.